Self-balancing electric scooters are among the latest and hottest ways to get around. Airwheel S3, a versatile scooter launched by Airwheel highlights your day-off with its exciting design and performance. Distinctive design is the soul of a successful product, and the S3 has hit the bull’s eye right at the onset. Launched by a U.S-headquartered company Airwheel Technology, the self-balancing scooter presents innovative interplay of distinct design elements. Features a concise and slim contour and defined by the fresh white and blue color scheme, the exterior design of S3 delivers sleek and comfortable essence. With maximum range performance of 65km, many testers reported that steering experience of S3 was “on a par with that of a sport car”. Travelling on the S3 according to many is safer than riding ordinary unicycles. Unlike most unicycles, the control of S3 does not involve your legs: the electric self-balancing scooter can make agile turns with simple movements of the vertically ascending handlebar and control shaft. The rider just stands comfortably on the scooter and grips on the handlebar to steer it. Controlled by the state-of-the-art gyro-system incorporated in a leading latency-reduced chip, and powered by a magnetic levitation motor, S3 secures top steering experience rivaled to an electric car. The intelligent self-balancing scooter also comes with a remote key to facilitate riders turning on and off the unit in a manner similarly applied on electric cars. On the center of the handlebar mounts a magnified display indicating the speed, battery level, mileage and temperature. Compared with other similar scooters, Airwheel S3 makes a difference with its built-in Bluetooth music player which allows one to connect his/her smart phone to the dual bass speakers in the scooter to play songs on the go. “The S3 is an absolute pride and masterpiece of our team. It is an ideal alternative for people looking for a low-key and sportive unicycle designed for everyday use. We managed to perfectly integrate a number of exciting features in its concise design,” said an official from Airwheel in a recent press brief. 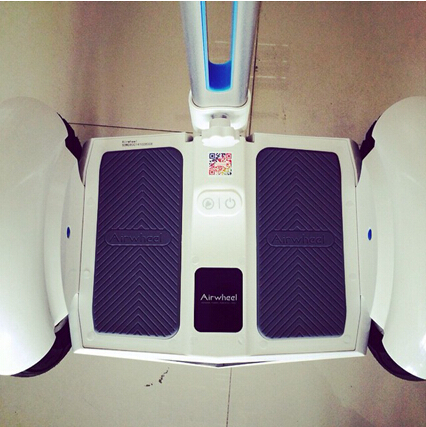 Airwheel Technology is a leading enterprise focusing mainly on the R&D and manufacturing of eco-friendly personal transporters. Based on its worldwide success of X-series and Q-series, Airwheel now rolls out its brand new S3 with more innovative design and amazing price-performance ratio. 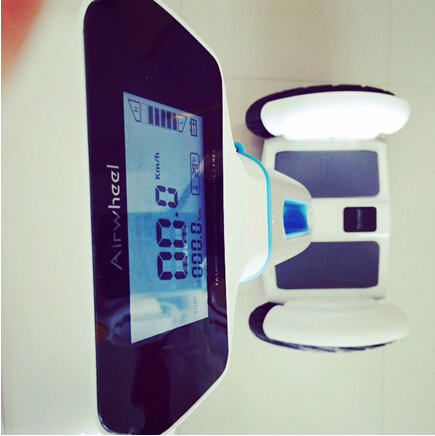 More info about Airwheel Technology is available on www.airwheel.net.